Do you have nightmares? We do. And, an evil demented clown is from the worst depths of the dream world. He never meant to be like this, however before his life as a clown he was a brilliant chemist. One day before his little niece's birthday party he got dressed up as a clown to entertain the children. However, he was called to work for an emergency. He did everything he could to fix the problem. But, all his hard work resulted in an explosion. Soon the impact of the chemical explosion would come to light. His family was scared of him, women no longer wanted to date him, and he was stuck a clown forever. He became tainted with anger, and soon that led to insanity. 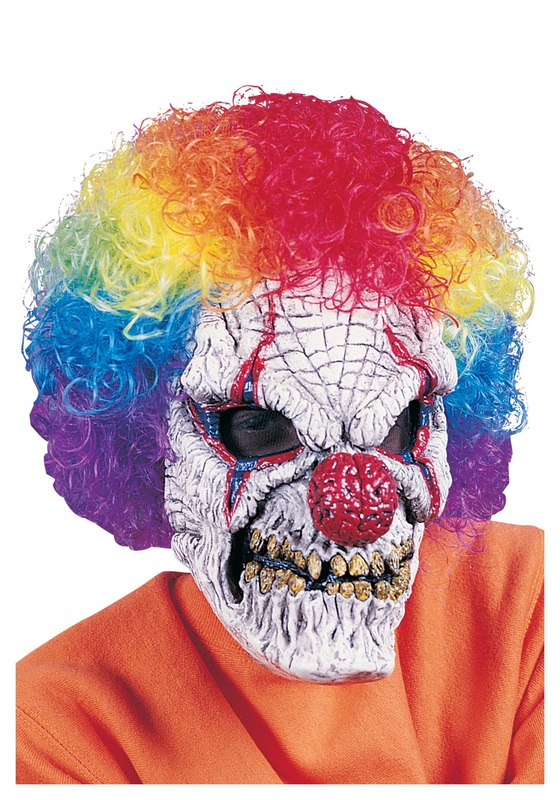 Your back story might be different than the poor chemist clown, but non-the-less you can build your own crazy clown character with the Adult Clown Mask with Wig.